Hid the new basket (5th) away, that the cat doesn't see. It's surprise & New Year's gift to him. It's the best basket by now. Really cool. Aunt said by whatsapp she prepared gift, I typed back that will not forget to take it. I cleaned and tidied my L-shaped desk arrangement. I though it would be nice to add a few aesthetically pleasing things, including LP covers and CD boxes. Plus a mini library of books which mean something to me right now. I'm hoping to keep it clean and tidy for the foreseeable future. RR1 your kitty is sure blessed to have you in his life. Finally carried the not-so-recently (November!) painted garden table out of the garage/boxroom with my SO and positioned it on her wonderfully spruced-up terrace. Swept the garage/boxroom floor for the first time in weeks and tidied up the wood supply. And now I'm doing some posting. Cat accidentally rang the aunt, she typed to me at whatsapp that he meowed at her & she said she'll buy him cat food for free due to such intriguing call. But, it's joke - she hates cats. Fun lil news. Today's cat charity. Everybody donated money, new bowls, baskets, knitted scarves, many goodies. 5/5. Very early today, as it happens, we watched the super blood wolf moon assuming its final form. Wow! Listened to me speaking via mobile voice recording device, goofed around by parodying few singers, silly & serious speeches. Didn't like it, deleted. 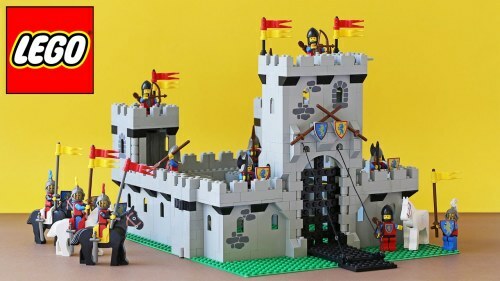 Yesterday my grandson and I took apart a Lego castle he'd built eons ago and reassembled it in the shortest time. Earlier today I balanced on my right leg for 100 seconds. Then I balanced on my left leg for 100 seconds. After that I sat down for a bit. It only just occurs to me that I was doing something very similar the day before! Today I decided to take a short break from EH. Just a few days. Back at the weekend. Around 0630 I put a small pork roast in a slow cooker, along with lots of onions and garlic, then went about my day. About 6 1/2 - 7 hours later, the roast was ready. Quite delicious, and served with sweet potatoes, and king cake for dessert. Bring a New Orleanian through and through, I joined the local citizenry in boycotting the Super Bowl. The TV was tuned to either the Kitten Bowl or the Puppy Bowl. There were lots of anti-Super Bowl parties throughout the city. Um... What's the problem with the Super Bowl (excuse this ignorant limey)? The problem with the Super Bowl was that everyone down here, and in much of not most of the US, thought our New Orleans Saints should have been playing the New England Patriots. The reason we didn't get to play was due to an unbelievable "non-call" on a play where a Los Angeles Rams player clearly committed a pass interference penalty on our player. If the penalty had been called the Saints would have been able to keep the ball longer, run down the clock, and kick (hopefully!) the winning field goal. Anyway the head of the NFL admitted right after the game that the officials goofed up big time, but nothing could be done. And to add insult to injury, it was discovered afterwards that 4 of the officials lived in the Los Angeles area! You can see the play in question online by searching "Saints vs Rams non call". But the weather was great yesterday and thousands took to the streets to have a party celebrating the team. To Add: It would be wonderful if this was the worst problem we had to deal with ! What a blunder by the officials! Even a US football ignoramus like me can see that. No wonder everyone was up in arms. Still, as you say... if only this were the worst problem in the world! This morning I made a cooked "English" breakfast for my wife's birthday. Later we and others are to gather round the fire (in the fireplace), also made by me, and nibble things. Will be mini-concert. Everybody picks song to sing, find piano sheet in the Internet that smb. will play. I found & picked "Raindrops Keep Fallin'", it's joyful. Everybody else predictably chose introspective soulful "classical romance" genre songs. Which is the ideal I went against & picked pop tune instead. If they change it, I shan't sing. Besides, they say to be in dresses. I didn't get any. Maybe will find ancient granny's dress in basement - free deal. Will not iron it, hate ironing. Will not try to sing well aka lifehacking tip that nobody asks to sing again. I hope it went well. Let us know. Everywhere I go is casual dress nowadays. Even regular church services. I have one nice dress, nothing fancy, for those rare occasions (weddings, funerals) where a bit more formal dress is required . Our 18 year old cat went to cat heaven today. Not unexpected. The good thing is that she and I bonded towards the end.. Anyway I now have 2 cats. Won't get any more until these pass on, which I hope won't be for a while. Then will probably get 2 cats who are BFFs. "Talked" with some friends online about our memories of when the Beatles first came to the US and played on the Ed Sullivan show 55 years ago tonight. We were 6-7 years old at the time. "Talked" with some friends online about our memories of when the Beatles first came to the US and played on the Ed Sullivan show 50 years ago tonight. We were 6-7 years old at the time. Sorry to hear about your loss, E. Still, 18 is old for a cat, isn't it? Thanks for clarifying, E. That's an abbreviation I feel comfortable with. NBBF - You still got 2 cats. Pay attention to living cats.